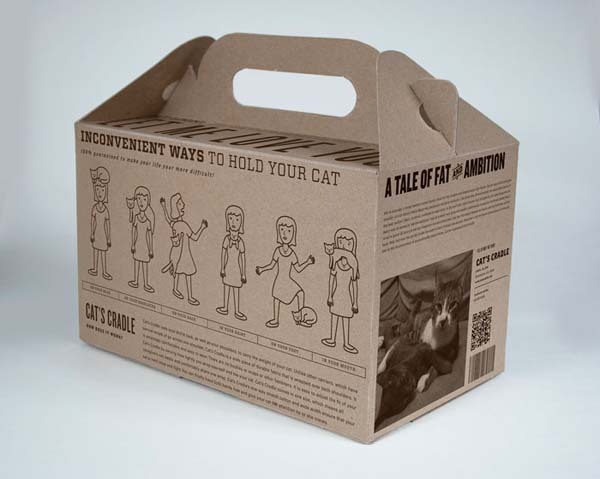 Student designer Erin Zingré wanted to design a convenient cat carrier so that owners can bring their felines around while doing errands. 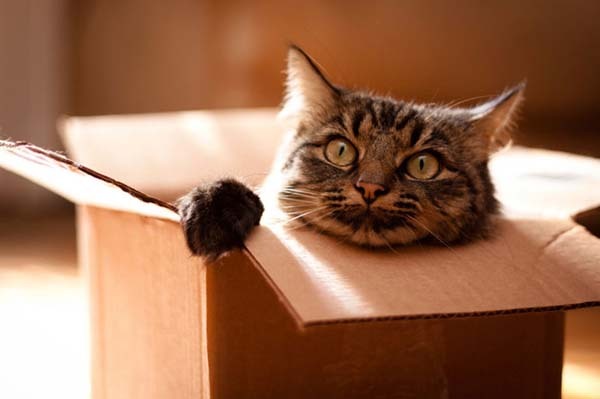 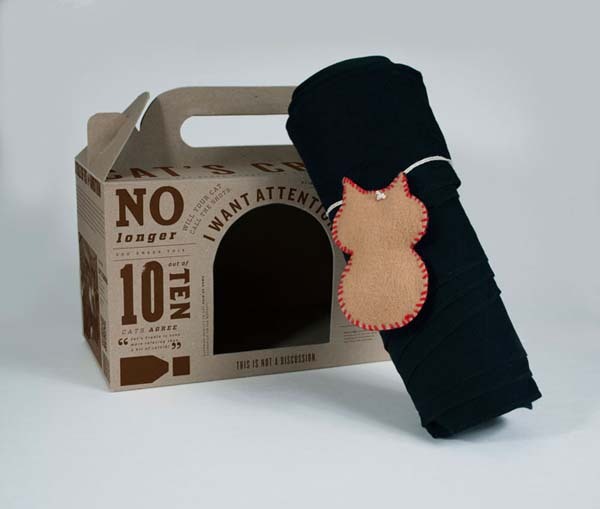 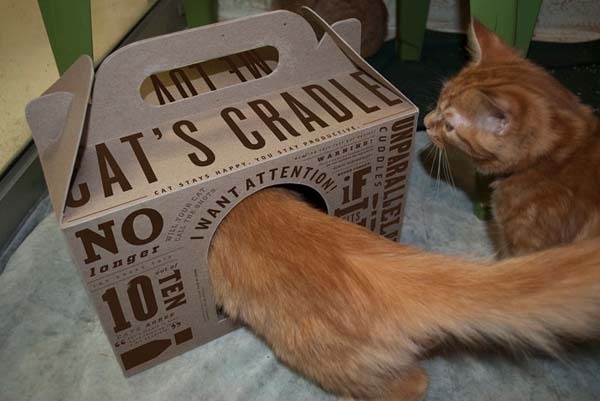 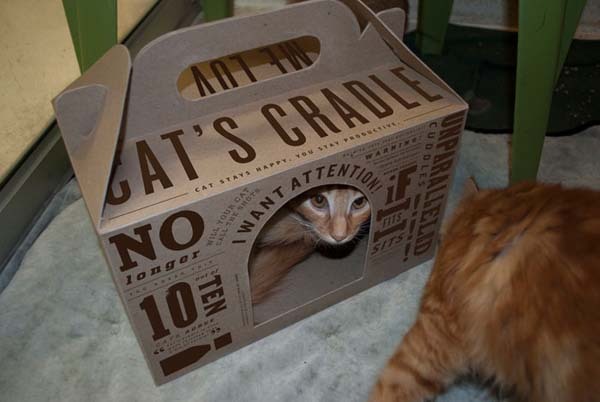 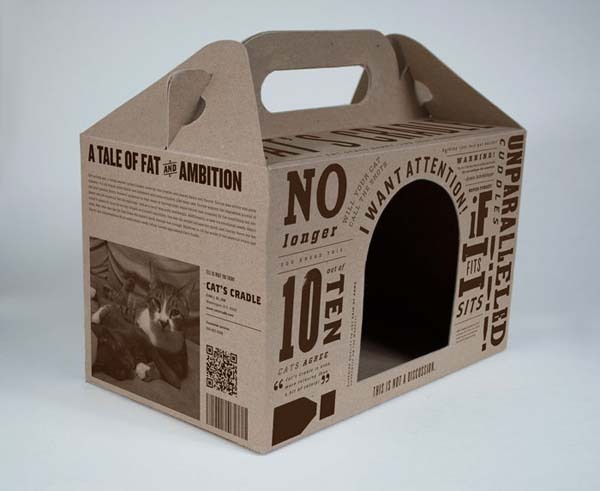 After finding out that many cats love cardboard, Zingré specially designed a sustainable carrier for these furry friends. 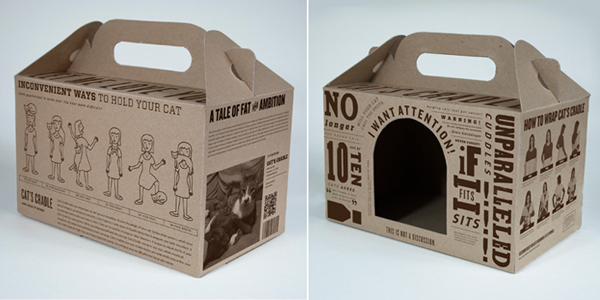 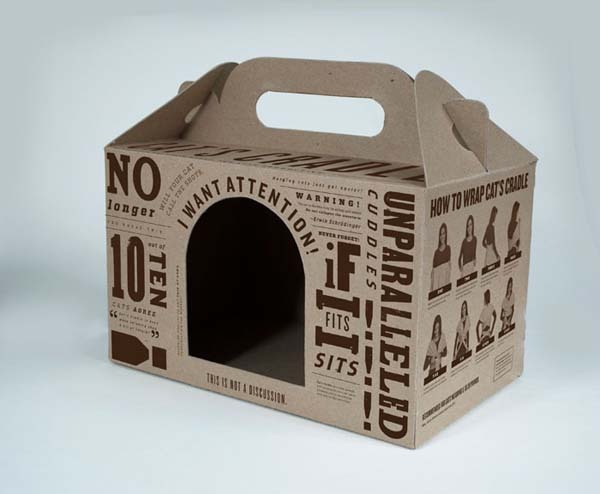 The carrier’s eye-catching typography gives character to the bag, especially with quotes from popular memes like, “If I fits, I sits”. 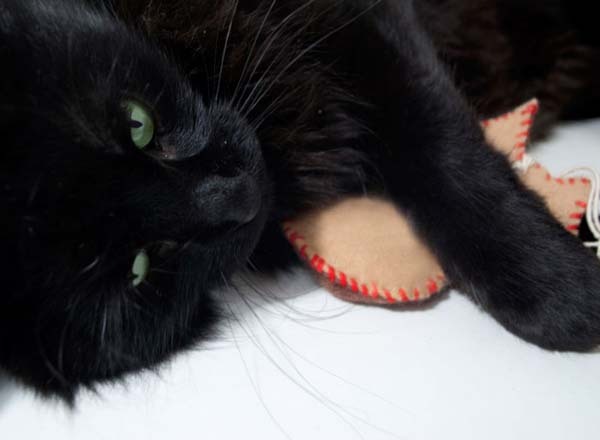 A catnip-filled tag is also included, doubling up as a toy for any bored feline. 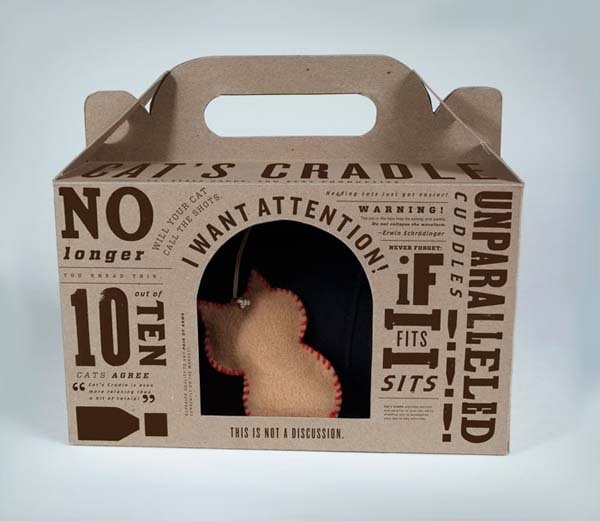 Scroll down to see more pictures of this creative and sustainable project.